Last weekend, Gabriel Aubry took part for the first time in the 24H of DAYTONA. He shared the adventure behind the wheel of the Team PR1 / Mathiassen Motorsport ORECA 07 – GIBSON with young driver Matt Mc Murry, Mark Kvamme and Frenchman Enzo Guibbert. 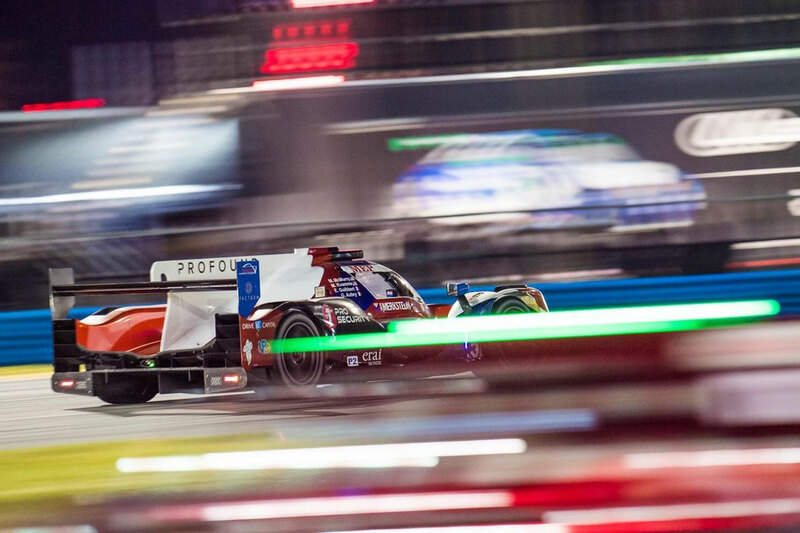 Gabriel set the 2nd best time in LMP2 in qualifying with a lap of 1’36”427. During the race, despite a soaking wet track and a succession of Full Course Yellows, the crew of the #52 led the LMP2 class until an incident immobilized the car in the paddock for 2h45. The outcome: 70 laps lost. Gabriel and his teammates fell back to 4th place in LMP2 before the officials decided to definitively stop the race after more than one hour behind the safety car and 2 red flags. For his first participation in the 24H of Daytona, Gabriel had to deal with delicate weather conditions. With certain corners flooding, the race could not run in good safety conditions. Gabriel took his 1st racing start for an endurance race. Fighting with Rodriguez, he decided to maintain his place and concentrated on managing the traffic. 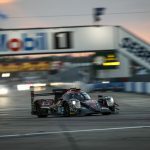 His teammates kept up the pace and the team led the LMP2 class until, in the early evening, Mark Kwamme made a mistake and made contact with a competitor. The car was brought back to the paddock for 2h45 of repairs (rear half-axle, rear wing, undertray). Gabriel took the car back from 22h30 until midnight for an excellent triple stint. The car made it through the night without any issues in the dry. Gabriel climbed back behind the wheel at 5 in the morning and with the return of the rain. When the sun started to rise above the Daytona circuit, the race was interrupted for the first time by a red flag because of heavy rain. In fact, the marshals deployed the “full course yellow” shortly after Tommy Milner in the #4 Corvette C7R went off the track at the first corner. After more than an hour under safety car, the red flag was finally brought out. Clearing the standing water had become too difficult, namely at the Bus Stop. With 4h30 to go, the race started up again, under full course yellow, before finally coming to an end, 1h30 before the scheduled end, with a second red flag. They had to wait until the end of the originally scheduled 24 hours before declaring the final classification.